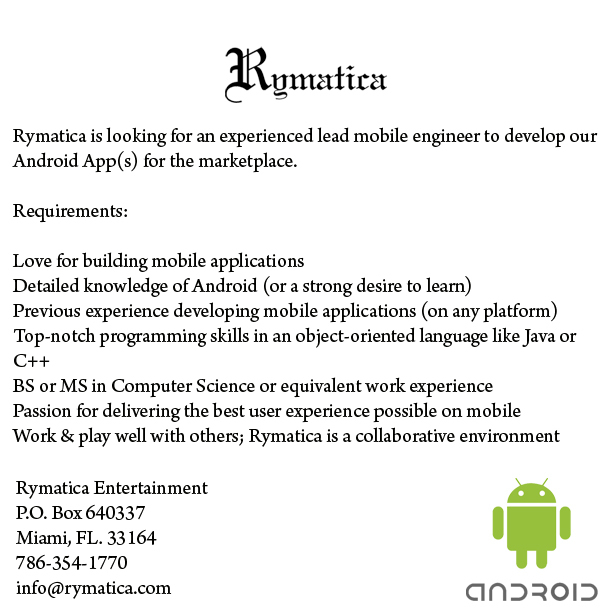 Rymatica is looking for an experienced lead mobile engineer to develop our Android App(s) for the marketplace. 7. Rymatica is a collaborative environment, we value team work!